Attention! According to a publisher's choice, additional information can be requested to activate the product (e.g. to fill the registration form). 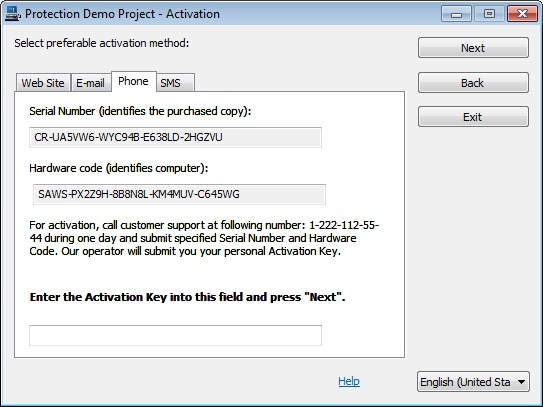 In this case you should contact the publisher's support service by email (an email address is indicated in the application window) and send information necessary to activate the application (a Serial Number and a Hardware Code). 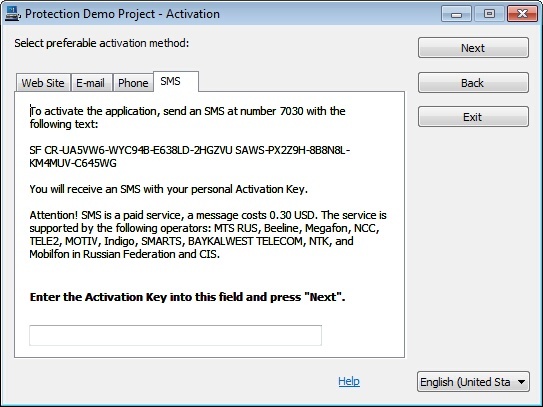 Following this you will be sent an Activation Key you should enter to the corresponding field in the application window. Go to the "Phone" tab. Call the product technical support at the indicated number, and submit your Serial Number and Hardware Code. 1.6 I have lost an Activation Key, what can I do?? StarForce has developed the Deactivation technology for that (License Transfer technology). You can deactivate the protected application, modify the configuration of your computer, and reactivate the application then, without contacting a publisher's support service*. However, according to a publisher's choice, some applications can employ the protected container technology; the driver is used in this case. 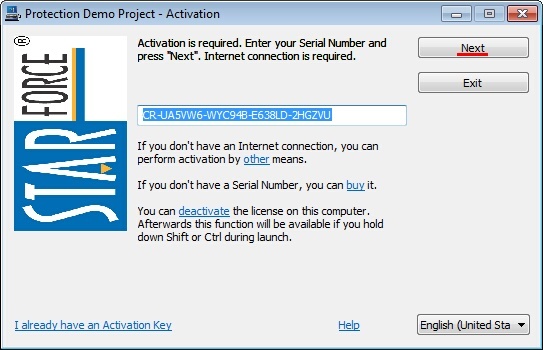 4.1 Does protection of applications that require activation via the Internet prevent operation of any other programs installed on a user's computer? 4.2 Does the protection of such applications collect any information about the user or the user's computer without notification? 4.3 Does the protection send any information about the user or the user's computer to the Internet without his/her knowledge?